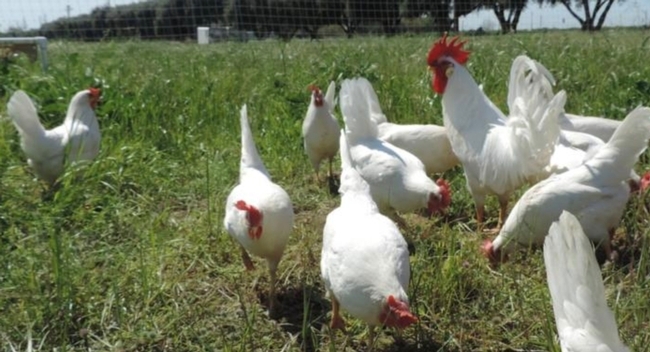 Beginning farmers are invited to attend a series of workshops to learn how to raise pastured and free-range poultry from UC Cooperative Extension specialists, poultry farmers and other experts. The first five workshops are three-hour long evening courses (4:30 p.m. to 7:30 p.m. PST) in January and February 2019. In addition to typical in-person workshops, the training will be available as online webinars to accommodate people nationwide who are unable travel to Davis. The workshops cost $15 per day for in-person workshops and $5 per day for the webinars. For participants who register for all five in-person workshops, the fee is discounted to $60. Each of the three-hour workshops cover a different aspect of beginning pastured and free-range poultry farming and include talks from various experts. Light refreshments will be provided for participants attending at the UC Davis campus. If you are unable to join in person, consider signing up for the webinar version of the course for $5 per day. You will be provided a link to join and participate in real time via Zoom video conference. For more information and to register for the workshops, visit http://ucanr.edu/beginpoultryfarmworkshop2019. The training is supported by the UC Davis School of Veterinary Medicine Extension's USDA Beginning Farmer and Rancher Development Program grant. Circles on the California Waterfowl Tracker map shows where waterfowl are feeding and roosting. Red indicates a high density of birds, orange is medium density and yellow is low density. To reduce potential exposure to avian influenza, a new interactive website is now available to help California poultry producers, backyard poultry enthusiasts, regulators and risk managers assess the locations of waterfowl relative to poultry farms in the Central Valley. While not all waterfowl carry avian influenza, the migratory birds are the primary reservoir of the virus that kills chickens, turkeys and other birds and can take an economic toll on the poultry industry. During an outbreak of a highly pathogenic strain of avian influenza in 2014-15, nearly 50 million birds had to be killed to contain the disease in the United States. “Avian influenza is such a devastating disease, in an abundance of caution, we want to limit any interaction between waterfowl and domestic poultry,” said Maurice Pitesky, UC Cooperative Extension poultry specialist. The California Waterfowl Tracker has been developed by Pitesky at the School of Veterinary Medicine at UC Davis, the University of Delaware, U.S. Geological Survey and UC Agriculture and Natural Resources to show where waterfowl are. 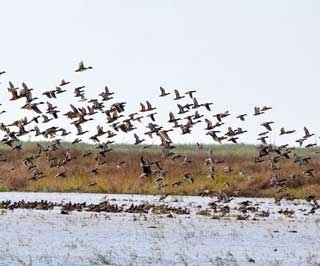 From September through March, geese, ducks and other waterfowl migrate by the millions via the Pacific Flyway and winter in California wetlands, rice and corn fields. 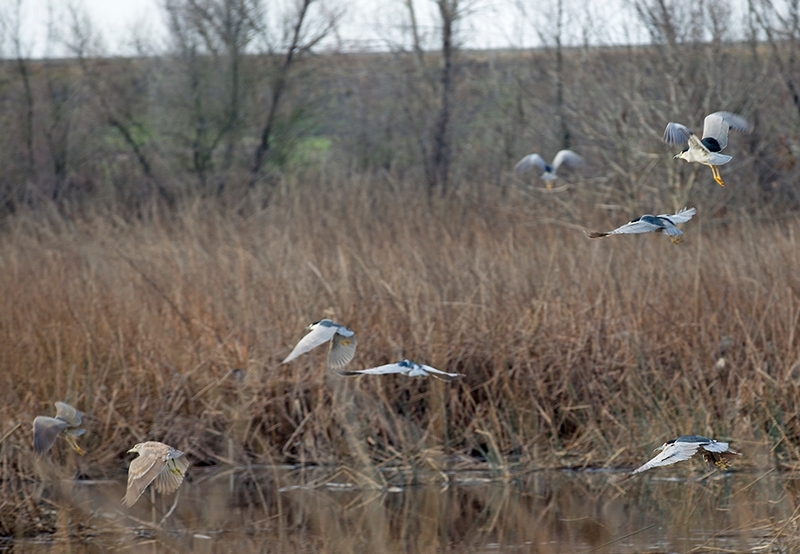 At the height of migration, the Central Valley is home to 3 million waterfowl. Migrating waterfowl stop at Yolo Bypass. UC Davis research has shown that 5 percent to 20 percent of waterfowl carry avian influenza. The Central Valley is also home to the majority of the state's commercial egg-laying hens, broiler chickens and turkey flocks. Using the web app to understand when and where waterfowl are feeding and roosting, poultry farm managers and other stakeholders will be able to consider waterfowl in their decision making. They may decide to place pasture-raised poultry in a region of the state that has less wetlands, such as Fresno. If a large number of Canada geese take up residence nearby, poultry owners may decide to move their domestic birds indoors to reduce their exposure until the migrating waterfowl move on. 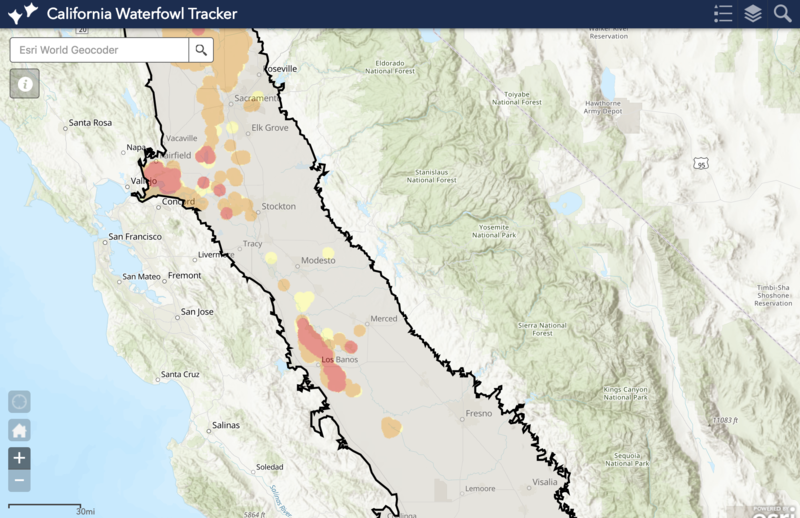 Using a machine-learning approach developed by Jeff Buler, University of Delaware wildlife ecology professor, the web app produces a waterfowl density map of California's Central Valley that is automatically updated daily with both satellite and weather station information. “The model doesn't tell us whether waterfowl are carrying avian influenza, but it helps poultry producers and regulators understand where those interfaces could happen,” Pitesky said. By law, organic and cage-free production must give birds access to the outdoors. While they are outdoors, poultry are at a higher risk of exposure to diseases carried by wild birds. Additional waterfowl habitat and next-generation radar analysis of waterfowl are integrated into the web app. Users can search one or more addresses to anticipate their farms' interaction with waterfowl. Based on the proximity of waterfowl and wild bird monitoring information from the U.S. Fish and Wildlife Service, poultry owners can make biosecurity decisions. “While the current version of the website is designed for California, the long-term goal is to develop and expand this system for the continental U.S. to promote health and safety of poultry flocks nationally,” Pitesky said. To use the California Waterfowl Tracker, visit the UC Cooperative Extension Poultry website http://ucanr.edu/sites/poultry. A video of Pitesky demonstrating how to use the web app can be viewed at https://youtu.be/EOO0Q_ggZ9I. Poultry producers who would like to be notified by UC Cooperative Extension if there is an avian influenza outbreak in their area can sign up on the California Poultry Census page at http://ucanr.edu/sites/poultry/California_Poultry_Census. By learning how backyard poultry enthusiasts share information with each other, UC researchers will be able to deliver poultry-health information more effectively to poultry owners. Californians who raise backyard poultry are invited to participate in a study to help the University of California more effectively deliver poultry health information, especially to prevent the spread of poultry diseases. 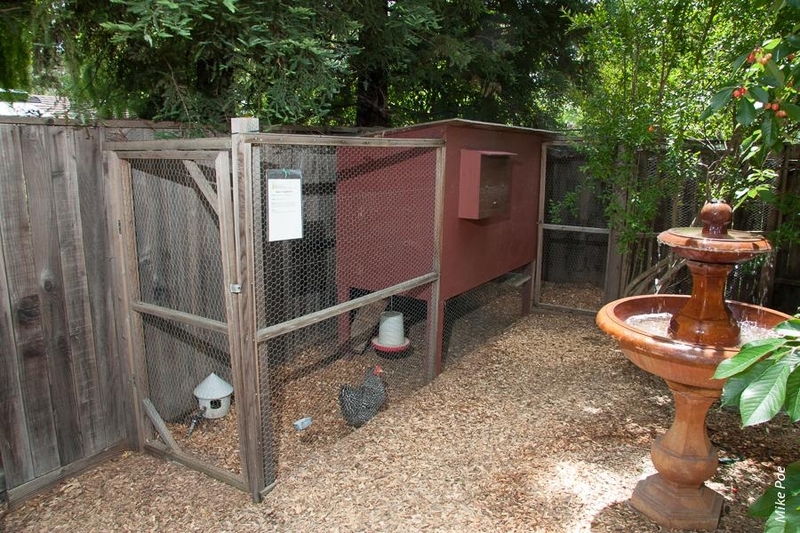 The UC Davis School of Veterinary Medicine and UC Davis Veterinary Medicine Cooperative Extension are conducting a research study consisting of a voluntary survey designed specifically for backyard poultry owners in California. “Our goal is to better understand how backyard poultry enthusiasts communicate with each other in California and to design and execute effective and efficient backyard poultry outreach programs,” said Maurice Pitesky, UC Cooperative Extension poultry specialist with the UC Davis School of Veterinary Medicine. 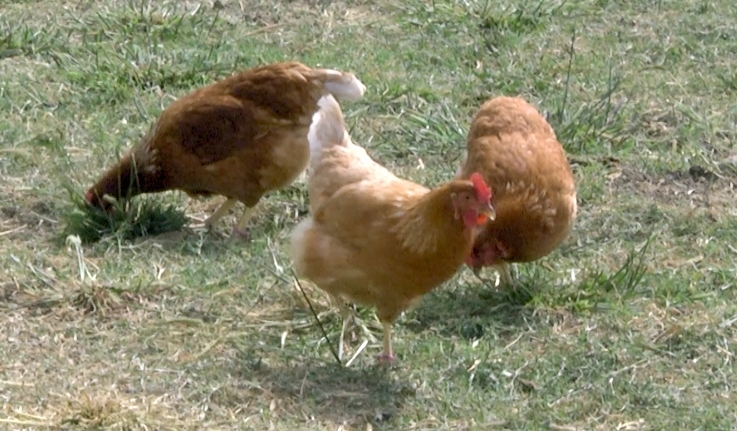 “To do this, we are sending out a short survey to help us understand the ‘structure' of the backyard poultry network." 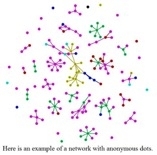 Identifying information will be stripped from survey answers to create a network of anonymous dots. This information will be crucial in the event of a poultry disease outbreak such as avian influenza. For example, if the researchers know which counties have a large number of birds traveling in and out, then they can focus outreach resources, such as biosecurity workshops, in those higher-risk counties. In addition, the information will guide UC scientists to plan custom workshops depending on the needs of poultry owners in specific counties. “Please note we are a university not a regulatory agency and therefore our focus is on outreach and education, not regulation and enforcement,” Pitesky said. If you would like to participate in this voluntary study, please fill out the California Backyard Poultry Survey at http://ucanr.edu/sites/poultry/CA_Backyard_Poultry_Survey by June 1, 2017. If you have any questions or comments, please contact UC Cooperative Extension specialist Pitesky at mepitesky@ucdavis.edu or his research associate Myrna Cadena at mmcadena@ucdavis.edu. To prevent exposure to avian influenza virus, use housing, fencing or netting to prevent contact between your birds and wild birds, say UC poultry experts. University of California poultry experts are urging poultry owners to examine biosecurity for their flocks after avian influenza was confirmed in commercial chickens in Tennessee by the USDA Animal and Plant Health Inspection Service on Sunday (March 5). To protect the birds' health, UC scientists recommend taking measures to prevent poultry from coming into contact with wild birds. Lincoln County is located in an area identified by UC researchers as one of the medium-high risk areas for avian influenza. “Lincoln County is located in one of the medium-high risk areas that were identified by our risk map, said Beatriz Martínez López, director of the Center for Animal Disease Modeling and Surveillance in the School of Veterinary Medicine at UC Davis. The UC Agriculture and Natural Resources researcher, who studies risk factors for the spread of avian influenza, noted that California is within the Pacific Flyway. “We need to increase awareness of poultry producers to maximize the biosecurity implemented in their operations, particularly in those located in high risk areas, mainly farms that are in close proximity to wetlands or other wild bird feeding and resting areas,” said Martínez López. UC ANR Cooperative Extension farm advisor Paul Verdegaal (right) discussing trellising systems with Lodi winegrape grower Joseph Spano. Farmers rely on personal interactions with their peers, field crews, agricultural professionals and UC Cooperative Extension farm advisors for new knowledge more strongly than the information picked up through formal pathways, such as workshops, meetings and publications, according to research published in the current issue of California Agriculture journal. These research results have broad implications for UC Agriculture and Natural Resources (UC ANR), which employs academic professionals in Cooperative Extension offices in all California counties to share science-based agricultural production information with farmers. The study suggests that education strategies that focus on farmers' social learning preferences may result in greater application of new, often more environmentally sound, production methods. 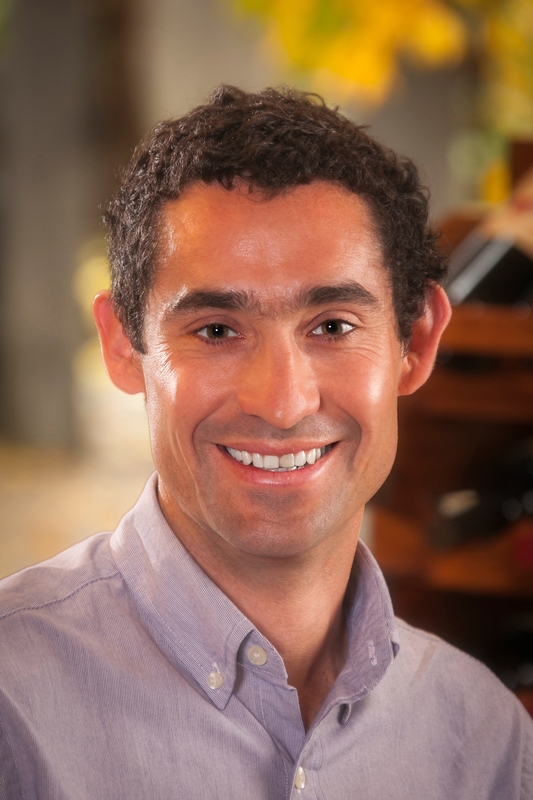 Hoffman, who holds a doctorate from UC Davis in geography, is the grower program coordinator for the Lodi Winegrape Commission, a winegrape marketing, research and grower outreach association in San Joaquin County. Hoffman conducted the research with Mark Lubell, professor in the Department of Environmental Science and Policy at UC Davis, and Vicken Hillis, a postdoctoral researcher in Environmental Science and Policy at UC Davis. The study's lead author Matthew Hoffman, agextensionist@gmail.com. The researchers found that the 11 highest-ranked information resources were social and experiential sources. No formal learning resource was on any region's top 10 list. These results indicate that grower learning is grounded largely in personal experience and knowledge-sharing relationships. Hoffman coined the term “network-smart extension” for the extension strategies that take advantage of farmers' social learning preferences. The approach, he said, capitalizes on the social process of knowledge sharing that naturally takes place among a community of growers. In collaboration with Rodrigo Gallardo from the UC Davis School of Veterinary Medicine, the UC ANR Cooperative Extension poultry specialist at UC Davis, Maurice Pitesky, recently consulted with Hoffman to use network-smart extension to share poultry health information. 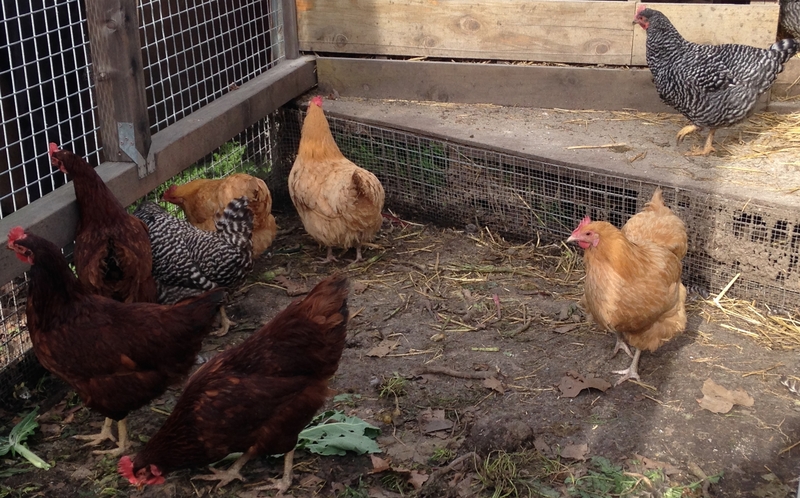 Raising backyard chickens has become increasingly popular. Since the birds are susceptible to poultry diseases, such as avian flu, Exotic Newcastle disease and Salmonella, which can threaten the health of people and of commercial poultry, it is imperative they have sources of accurate chicken health information. But with no ANR poultry advisors in California counties and over 100,000 backyard poultry premises in California, the information must be sent through other channels. A barred rock chicken in a backyard coop. With a grant from the California Department of Food and Agriculture, Pitesky and Gallardo organized 2-day “train the trainer” sessions in northern and southern California in 2015 for 4-H advisors, UCCE advisors, agricultural commissioners, feed store managers, veterinarians and others. 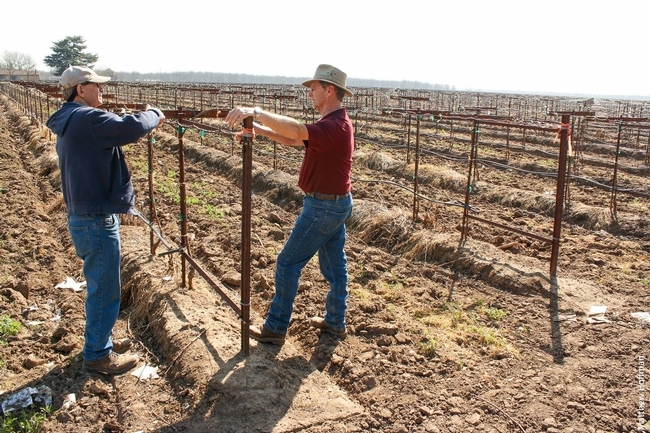 As part of the grant, Pitesky and Gallardo are working with Hoffman to learn social network analysis, the same method used to collect the knowledge-sharing network data from winegrape growers, to identify the network of collaborations among backyard poultry professionals in California. This network data will help identify those positioned to spread science-based backyard poultry information. “The goal is to create a network of people who have some knowledge of poultry, who can then connect with their social networks and disseminate the latest information about nutrition, food safety, welfare, poultry health and biosecurity,” Piteskysaid. Pitesky also created a poultry website to help backyard poultry producers find connections. The scope of Pitesky and Gallardo's network-smart extension is much larger than the scope of a typical farm advisor nurturing connections between PCAs, farmers, consultants and allied industries. Hoffman offers some suggestions of how those connections can be encouraged. One simple practice is regularly providing nametags for participants at extension field days and meetings. A third simple approach is providing meeting flyers with a duplicate copy for a neighbor. UC Cooperative Extension specialist Matthew Fidelibus uses Facebook to connect with growers. UC ANR Cooperative Extension viticulture specialist Matthew Fidelibus uses Facebook and Twitter to enhance the social network. 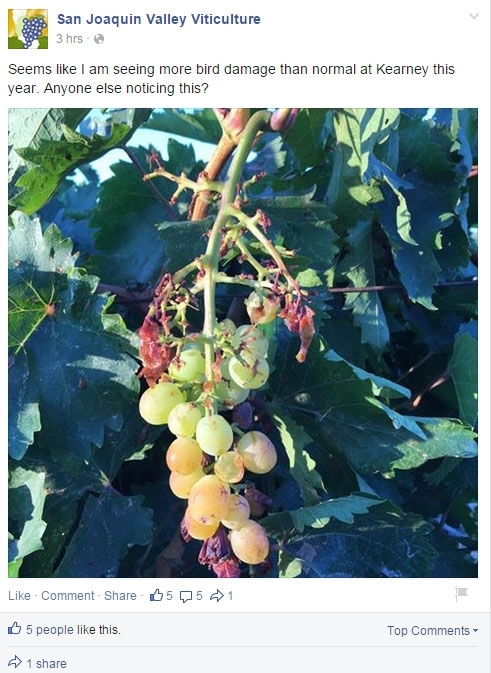 He recently posted a picture of a withered grape cluster at the UC Kearney Agricultural Research and Extension Center on the San Joaquin Valley Viticulture Facebook page, which has 757 followers. Fidelibus advertised his upcoming grape field day on his Twitter feed, which has 1,474 followers. Generally, Hoffman said, engaging in network-smart extension isn't about individual specific practices, but an overriding principle of the program that emphasizes building relationships among practitioners and encourages their engagement within their agricultural community.